“We have done exhaustive consultations with Cebuanos from all walks of life and from all sectors of society. The overwhelming choice as President for them and for us at One Cebu is no less than Vice President Binay,” said Garcia in a press statement. “He has also presented the most credible, doable and economics-centrist platform of government among the presidential candidates,” Garcia added. Also on Monday, Acting Cebu City Mayor Edgardo Labella said that Team Rama had nothing to do with the display of two streamers marked “Welcome to Binay Country” on the roads leading to last Sunday’s mass in the South Road Properties (SRP). 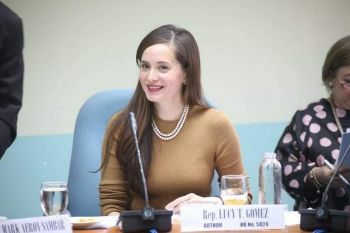 Labella, who belongs to the Binay-aligned Team Rama, said he asked Councilor Dave Tumulak to check if there are closed-circuit television cameras in the area so that those responsible may be identified. Tumulak heads the City’s command and control center, and is also a Team Rama member. “It was done in bad taste. It was a religious activity. Dili maayo nga sagulan nato ug politika (No one should inject politics into it),” Labella told reporters in a news conference. “I and the majority of the members of One Cebu believe that the Vice President would answer at the right time and at the right venue — the courts of law — the issues that have been raised against him,” he said. “We closely looked at VP Binay’s platform and I see his administration getting wide support from the private sector in effecting inclusive economic growth, the kind that is felt by the poorest of the poor because jobs that put food on the table are generated,” said Garcia. “Sadly, the purported economic gains being touted are not being felt by the majority of our countrymen. If Binay was able to improve the lot of the poor in Makati, he as President can surely do more to ease poverty in the urban and rural centers,” the press statement added. As to the display of the “Binay Country” streamers, Labella pointed out that the administration under suspended Mayor Michael Rama has a standing order to remove all political advertisements since the celebration of this year’s Sinulog. Labella added that the City Government has an ordinance that states any streamers or posters to be put up in the city need a permit from the Office of the Building Official. Labella said he was informed last Sunday about the presence of the streamers, particularly the one in Talisay City, around 9 a.m. by Racquel Arce, head of the City’s Prevention, Restoration, Order, Beautification, Enhancement (Probe) office. He said he immediately ordered her to remove the material, and that it was taken down around 10 a.m. The streamer near the tunnel was reportedly taken down by Tinago Barangay Captain Joel Garganera, also of Team Rama, past 7 a.m., after he had seen it. Photos of one streamer were posted on a Facebook page and drew flak from some netizens. Former mayor Tomas Osmeña of the Bando Osmeña Pundok Kauswagan, an opponent of Rama and a Liberal Party ally, said it was not true that his party put up the streamer, as one Team Rama candidate alleged. “Thousands of policemen were present during the IEC. Security was as tight as it was during the Asean Summit. Do you think someone could just walk into the SRP, take a government-owned metal barrier, and hang a streamer there without the sanction of the local government?” he said.